Every year since 2008 Baltic Offshore Week has been held on both shores of the Finnish Gulf of the Baltic, and this year the venue was Kalev Yacht Club in Tallinn, site of the 1980 Olympic Sailing Regatta. For three days a total of 47 offshore sailing teams – 26 from Finland, 21 from Estonia and one from Russia –competed in ORC A, B and C classes in three inshore races and one offshore 60-mile race. The keywords of the regatta were tricky and shifty winds. However, the offshore course on Friday was held mostly in winds of 12-15 knots with the boats speeding along but also being very slow for lack of wind during about 10 hour-long leg. Due to the lack of wind both on Saturday and Sunday mornings, the racing was postponed until the afternoons, making it possible to execute three inshore races only. 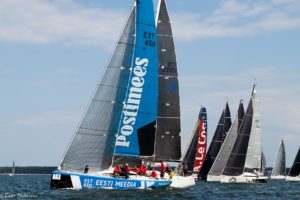 Among 18 entries in ORC Class A was Sven Nuutmann’s new custom 37-foot Cossutti-designed Eesti Media Sailing Team, helmed by Juss Ojala with Kaarel Kruusmägi calling the tactics. Their scores of third in the offshore course and 2-3-2 in the inshore races was good enough to win the class. Silver medals were won by the 2014 ORC Class B World Champion Forte, an X-41 with Tammo Otsasoo at the helm representing Kalev YC. The podium was completed by Sakari Laulajainen’s Salona 37 Ramdata from Finland. For the third year in a row, Aivar Tuulberg’s crew of Katariina II, his Arcona 340 modified by Cossutti from Pärnu Yacht Club, was crowned as the ORC Class B champion. With Lorenzo Bodini as tactician and Karl-Hannes Tagu on the helm, the 2016 ORC Class C champion scored bullets in the offshore and two inshore races and was second in the final inshore race. Their main opponent for the title was the modified X-35 My Car with Harles Liiv on the helm. Being close in points after the second day, My Car from Kalev YC got eighth place in the final inshore race, but held on to second place on the podium with silver medals. The bullet in the last inshore race earned by Alar Volmer’s Italia 9.98 Directo jumped them to the third place to complete the podium of ORC Class B. In ORC Class C, only the Finnish Champions were determined, with 8 Finnish and 1 Russian team competing, Perttu Rönkkö’s First 31.7 Penelope was crowned as the 2018 champion. Second-place medals were won by Markku Kotisalo’s team on Fun First, and third place in this class went to Heikki Vesalainen’s team on the First 31.7 Uhuru. All teams are from Helsingfors Segelklubb. 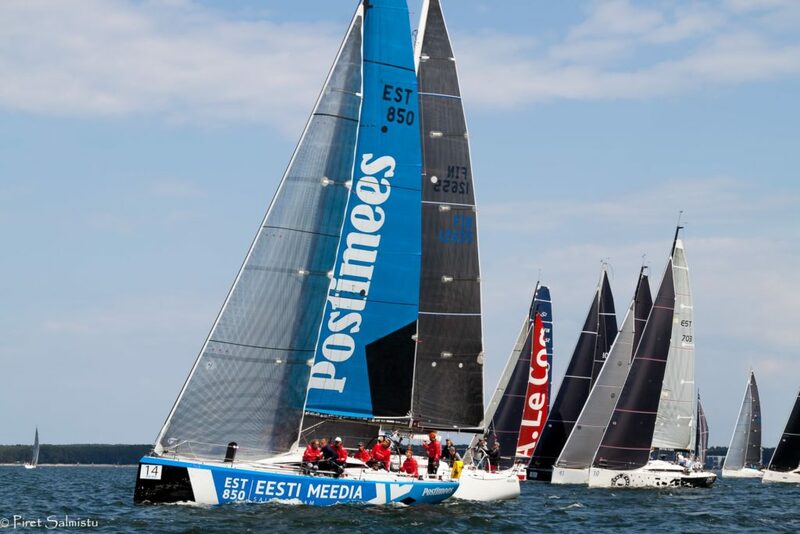 The BALTIC OFFSHORE WEEK 2018 was organized by the Kalev Yacht Club, Tallinn, Estonia and EMK ry, Helsinki, Finland under the authority of Estonian Yachting Union (EYU), the Finnish Offshore Racing Association (Avomeripurjehtijat) and under the overall authority of the Offshore Racing Congress (ORC).